This is the belief of a 15-year-old from Pakistan that she could make a lasting impact on the rights for girls to receive an education. Malala is more influential in fighting against terrorists like the Taliban than any politician in the world. In a country filled with Islamophobia, many people cannot understand the difference between a Muslim and a terrorist member. Malala is an inspiration because she has shown the world that a real Muslim is peaceful and is meant to make the world a better place. In an environment of constant conflict, Malala attempted to show that radical men like the Taliban do not represent what Islam truly is. In her home in Pakistan, the Taliban harassed her father for running a school that allowed girls to go to school. They harassed men wearing western style clothes and even snatched female mannequins from clothing shops. While these foolish men focused on destruction, she focused on improving her environment. Malala first gained notoriety by corresponding with the BBC by writing a diary describing life under the Taliban. She went by the pen name, Gul Makai, in order to protect her identity. As her reputation grew, she became a target for the Taliban. Two young men got on her school bus one day and said, “Who is Malala.” Followed by three gunshots. One bullet had passed through her forehead. After recovering in England, the sight of groups of men would frighten her. Yet her heart was stronger than her fear. Her desire for peace in Pakistan and for the education of girls outweighed her fear. She had a purpose beyond being “the girl who was shot by the Taliban.” Now, Malala has become the most influential spokesperson for education in the world. 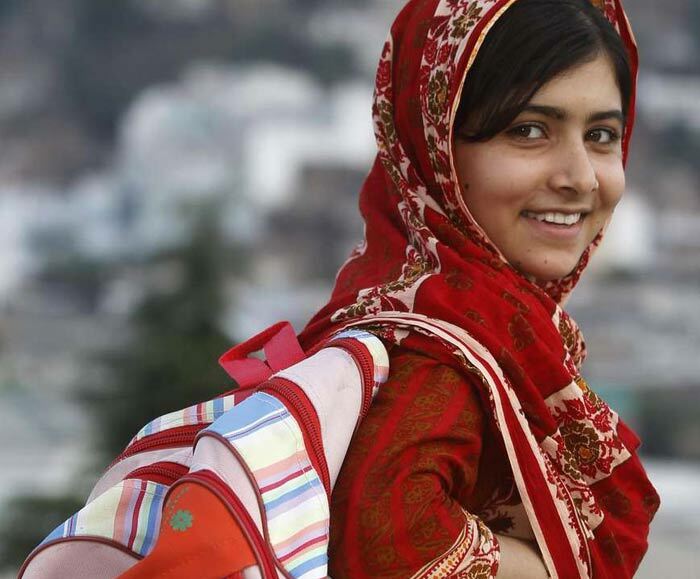 Malala was accused by some of seeking fame and a life of luxury abroad. Yet her impact is more powerful that any politician, more powerful than any soldier, and her passion for girl’s rights for education is unquestionably genuine. Personally, I am not religious, but I cannot help but feel admiration for this young woman’s faith in God. People throughout history have used their religious beliefs to spread hate, but Malala has used her faith to spread peace and love. It’s no surprise she is the youngest Nobel Peace Prize recipient in history. Her book displays how passionate she is for education. Her pure heart to help others and her sincerity is so refreshing in an era where most people are consumed with themselves.